These offers are free with the purchase of the Fuji Absolute 2.1 (2016) Bicycle. 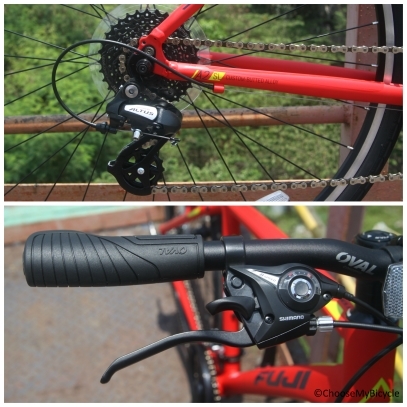 The Fuji Absolute 2.1 2016 is equipped with a A2-SL Custom Butted Alloy frame with semi-intergrated threadless head tube making the bicycle light weight and strong. The Absolute 2.1 2016 runs on the Shimano Altus in the front and rear derailleur with Altus EasyFire 8 speed thumb shifters for quick shfiting on urban roads. 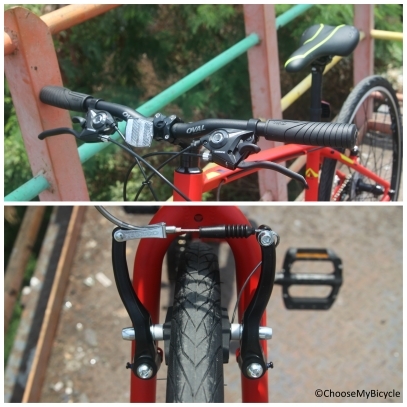 This bicycle is fixed with Tektro Alloy Linear Pull V-brakes which makes quick halts on city roads safer. Vera CityWide 700 x 32c tires on this bicycle with Phalanx Flat Protection drastically reduces the number of flats and makes riding much more fun. The Price of the Fuji Absolute 2.1 (2016) is Rs.31990. 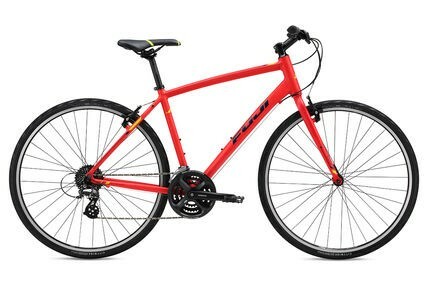 If you are an avid cyclist looking for an entry levelæHybridæwith a mid-level comfort oriented geometry in this price range, the Fuji Absolute 2.1 2016 is the bicycle for you. Around town the Absolute 2.1 is well-behaved and goes exactly where you point it, but this bicycle really shines when you start racking up the miles. One of our test ride routeÈs was on a 20km point to point road I know fairly well, and it was by some margin the most comfortable hybrid bicycle I've ever taken on that route. At the other end of the scale it will comfortably handle short commuting, towpath riding and bumpy country lanes. In this price range, if it were my money I would go head-rules-heart for the Fuji Absolute 2.1 2016. We would like to thank Pro-Bikers, Chennai for providing us with this bicycle for the review. 2. In what condition will I get the Fuji Absolute 2.1 (2016)? 6. 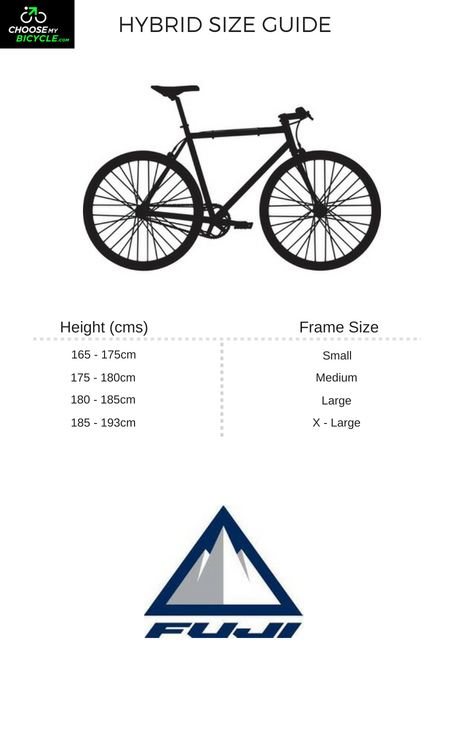 How will I know if Fuji Absolute 2.1 (2016) will fit me without riding it? 7. 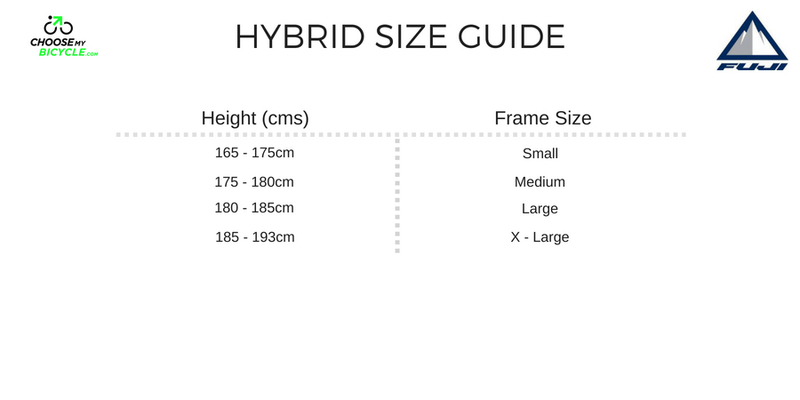 How long will it take for me to receive the Fuji Absolute 2.1 (2016)?